Remedial massage involves the assessment, analysis and treatment of your body. It is an umbrella term for a wide range of soft tissue techniques that aim to improve posture and flexibility, relieve sore muscles, prevent &/ or manage injury and improve sports performance. When should you come to see a Remedial Massage Therapist? If you have pain or tightness in an area of your body and it doesn’t seem to be getting better on its own. For tight or sore muscles. Prevention or management of injury and/or improve sports performance. You’re not sure about your posture and are looking for ways to improve. If you have Lower Back Pain, Headaches or pain in any of your joints including neck, shoulders, elbows, hips, knees or ankles. If you want to improve your flexibility. If you are stretching and triggering but feel like you're just not getting anywhere. If getting someone else to loosen up your muscles for you rather than constantly having to stretch and trigger sounds like a great idea! For more information on when to get a remedial massage in training blocks or pre/post sports event visit our blog post - When should I get a remedial massage? For identifying the most important areas to focus on in your body, day to day activities possible contribution to your symptoms, determine if what you have come in with can be treated through remedial massage and to start to formulate a plan to assess what is going on in your body. For flexibility, muscle strength and identifying conditions possibly caused by joint, nerve, ligament or soft tissue dysfunction. Book a Remedial Massage Online Now! Remedial massage therapists study a minimum of a diploma of remedial massage. They learn a range of physical assessment procedures that look at your presenting symptoms as well as posture, movement patterns, muscle strength, flexibility and underlying causes and conditions. Initially your remedial massage therapist will get you to fill out a health history form and have a chat to you about why you are coming in for treatment. Based on your conversation they will have a look at your posture, range of movements, flexibility, muscle strength and identify any underlying causes or possible conditions that could be contributing to your symptoms. They then formulate a treatment plan specific to your needs. 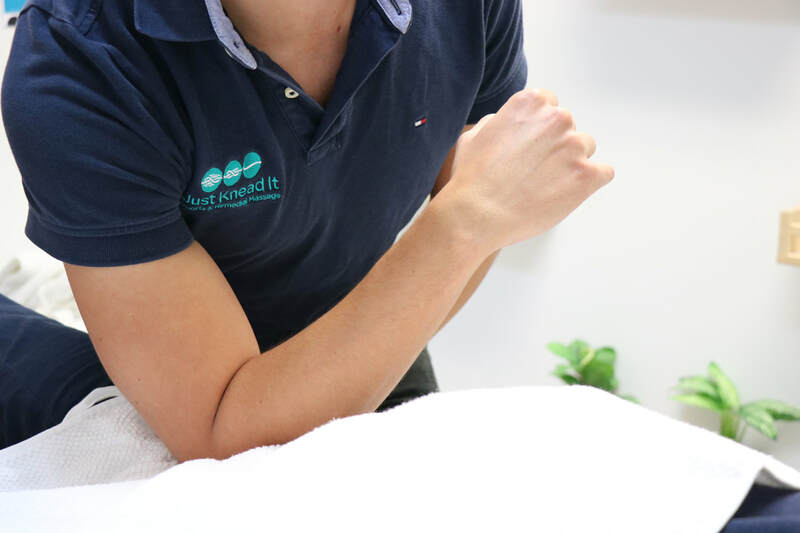 At Just Knead It our remedial massage therapist aim is to provide you with a balance short-term relief for your current symptoms and address the underlying causes to ensure long-term results. We want you to still feel-good after a session but also feel like you’ve had a change in the symptoms that have caused you to come in for treatment. Our therapists have a wealth of knowledge of treatment techniques and regularly participate in professional development on the latest assessment and treatment protocols. They understand each individual responds differently and some techniques work better on one person compared to another. Therapists work hard to identify which remedial techniques work best for your body to cause a change in your current symptoms. Finally your remedial massage therapist is trained in exercises and stretches that can help to improve your condition long term. Just Knead It therapists understand that giving too many exercises can be overwhelming and time consuming. They get that your take home activities have to fit into your lifestyle as well as your work, family and exercise commitments. Your remedial massage therapist will work with you to create a take home plan that you think you can manage. What should it feel like? Everyone can tolerate a different amount of pressure during a remedial massage. Often people come in believing in the saying 'no pain - no gain.' To get changes in muscle tone through massage there is going to be some level of discomfort, particularly when using techniques like deep tissue massage. However some remedial massage techniques are quite gentle for example stretching or joint mobilisation. Overall it is the degree of discomfort that is important. It has to be within YOUR pain threshold. Just Knead It Therapists aim for deeper massage techniques to be applied at around an 8 or 9 out of 10 (on a pain scale) for a short amount of time and then in between sessions of 'deep tissue massage' around a 5 -7 based on a person's pain tolerance. As some of our patients like to tell us - Good Pain! We will constantly ask you for feedback regarding the pressure to ensure we keep within those levels. Just remember there is such a thing as too hard. Bruising can happen, particularly to people with fair skin but please let your massage therapist know if this occurs so they can adjust their treatment for you. If this does occur we highly recommend you discuss this with your massage therapist at your next session or give them a call with some feedback. The MOST important part of a massage - COMMUNICATION! After many years of remedial massage we pride ourselves on being pretty spot when judging how hard to go on each individual in their massage. However if you are finding that we are not going hard enough or are going to hard or not firm enough please let us know then and there! To book in online click the button below! Make sure you take deep breaths as your massage therapist is performing this type of massage. This will help you cope with the harder pressure as well as help your muscles to loosen faster. Try to relax your muscles as much as possible. (Yes we know at times this is difficult!) The quicker you and your muscles relax the quicker your therapist can get through an area and decrease the pressure. After your remedial massage if possible have a warm shower and drink lots of water.